Add white wine and white wine vinegar to a pot and bring to a boil. Add tarragon, bay leaf, black peppercorns, mustard seeds, sugar (if using), and season with salt. In a separate pot, melt butter over medium-low heat, then pour into a liquid measuring cup. Set a heatproof bowl over a pot of simmering water and place a fine sieve on top. When white wine and vinegar mixture has reduced by half, pour through sieve into the bowl over simmering water. Remove sieve and add egg yolks to the bowl while whisking continuously until doubled in size. Gradually add butter in a slow stream while whisking. 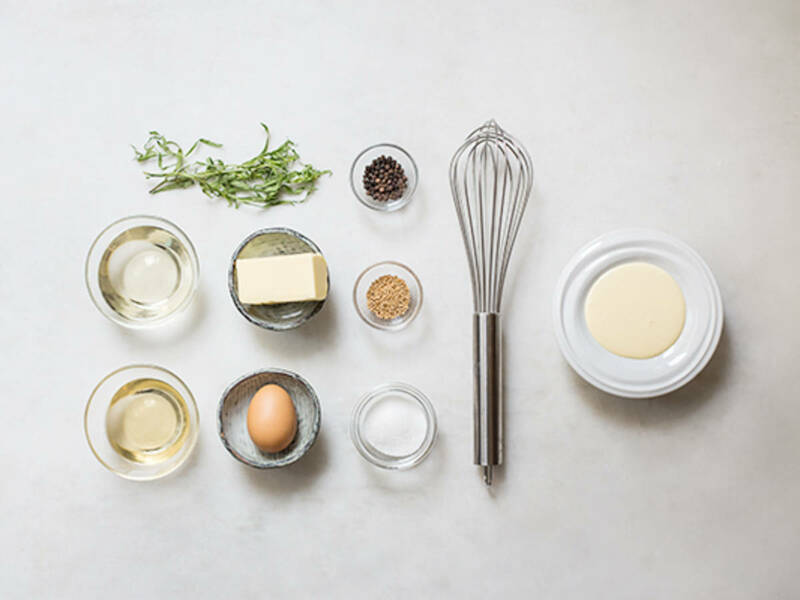 Continue to whisk until Bernaise is smooth and silky. Enjoy!